As many of you know by now David Bowie passed away today at the age of 69 after a long battle with Cancer. He was one of the most influential musicians of his era and did well known tunes such as Space Oddity, Starman and Ashes to Ashes. 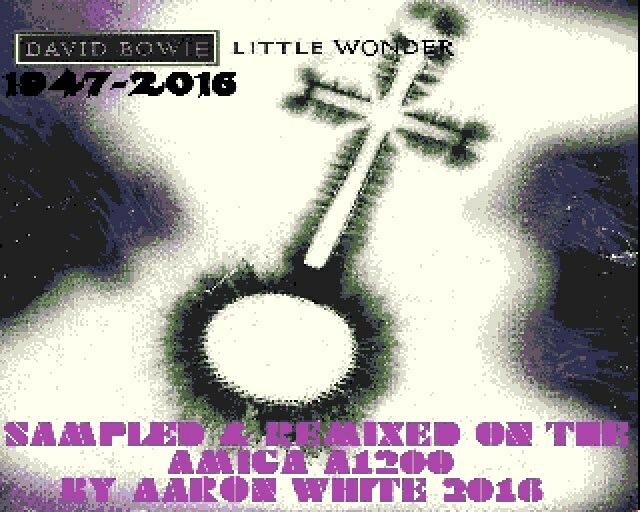 But now in tribute to David Bowie, Aaron White of RGDS has released the Amiga remix ' RGDS Podcast Presents - A Tribute To David Bowie (Little Wonder) '. This is a remix of the dance/drum & bass track that he released back in 1997 and reached number 14 in the UK charts!